The Westek Indoor Wireless Door/Window Alarm is effective pretection against unauthorized entry. 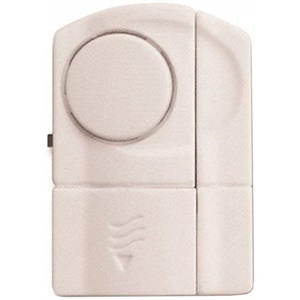 The alarm mounts on windows or doors, and comes with both the batteries and the mounting tape. The SEC300 provides Safety & Security with this easy-to-install, 90db alarm.